In the bloodiest years of our nation’s history, a young mother was left alone to endure the ravages of the Civil War and a typhoid epidemic that threatened the lives of everyone left behind. Okatibbee Creek is based on the true story of Mary Ann Rodgers, who survived the collapse of the Confederate dollar, food shortages, and the deaths of countless family members to war and disease. As she searched for a way to feed her children and her orphaned nieces and nephews, Sherman’s Union army marched through Mississippi on their way to destroy Meridian, and Mary Ann found the distant war literally on her doorstep. Help arrived just in the nick of time in the form of an unexpected champion, and Mary Ann emerged on the other side a heroic woman with an amazing story. 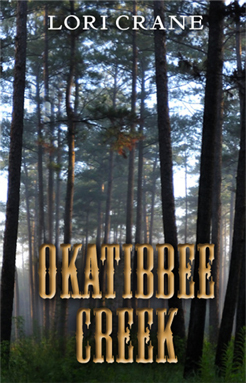 Okatibbee Creek is a novel of historical fiction that brings the Deep South vividly to life and will have you cheering and crying through a real-life story of loss, love and survival. “Okatibbee Creek” by Lori Crane is a moving historical novel about the life of one woman and her extended family before, during and after the Civil War. Beginning with her life when she is 6 years old we soon learn the harsh reality of life in Mississippi when her brothers die, her husband gets drafted into the war and typhus fever claims many more lives around her. It is an impressive read on a historical level as we learn much detail about the times without that becoming the sole task of telling the story. 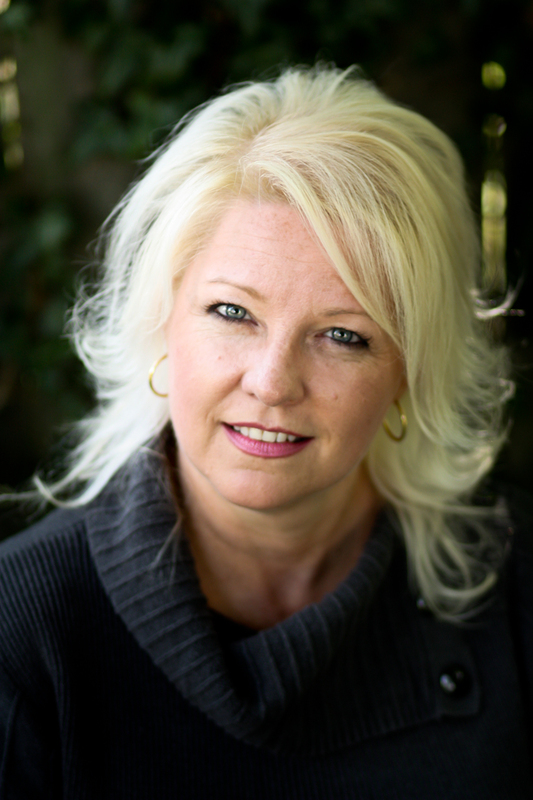 Lori Crane gives her characters a lot to live through and to digest and with that comes compassion from the reader and a personal touch that makes the tragedies and happy occasions more real. I am a native Mississippi southern belle living in the Yankee territory of Michigan. I am a professional musician by night and an indie author by day. I grew up without my father, which gave me a hunger for all things family, so I have been a genealogy buff since I was a teenager and have a room full of binders filled with my family’s history. I’ve traced many lines back to 14th and 15th century England, Ireland, and Wales, and one of my lines all the way back to King Charlemagne and beyond. I have always written. I loved English in school and have an obsession to communicate with the perfect words in the perfect sequence. Through the years, I’ve written many songs and short stories and recently moved up to the big-time…novels. When did you first have the idea for this book? What was your connection to the subject? “Okatibbee Creek” came from my family tree while working on my genealogy. The heroine, Mary Ann Rodgers, was my third great grandmother. As I researched her family and found she lost an unbelievable seventeen family members in one year between war and typhoid fever, including her parents, her husband, and her one-year-old son, I was amazed by her strength. The more I obsessed over her and studied her, the more I knew I needed to write it all down. The story was originally an historical document for her descendants, but everyone I spoke with about her wanted to know her whole story, so I turned it into a book. That is the reason there are so many names and dates in this book. I knew her descendants would be upset if their grandparents were not mentioned by name. I write in my office, alone, in the quiet. Being a musician, music distracts me, so I can’t listen to it while I write. The only sounds are my clock ticking and my guinea pig girls whistling. Their names are CeeCee and Meatball. I generally write a rough draft in about six weeks, then go back and expand the characters, then go back again and expand the environments. I’ve tried it other ways, but I am impatient to get the basic story written before I allow myself to focus on anything else. I do three rewrites. After my two expanding sessions, my first rewrite encompasses adding, changing, and editing things to make the written story match the movie playing in my head. I then print it and do a second rewrite with pen and paper. That rewrite is pretty intensive, because I tend to see more on a paper than on a computer screen. I then send it out to some beta-readers and do the final rewrite incorporating their suggestions. My editor Elyse (http://theeditninja.com/) is amazing. Even with finished revisions in the manuscript, she always finds holes. I trust her judgement implicitly. When she is finished editing, I go through the manuscript one last time looking for inconsistencies and typos. She usually catches everything, but I like to be in control of the final product. Since “Okatibbee Creek” was a personal story about my ancestors, I did most of my research on Ancestry.com. Some of the story took place in Murfreesboro, Tennessee at the Battle of Stones River during the American Civil War, so I Googled a lot about that. The rest was from other novels written about Lauderdale County, Mississippi, just to get the feel of the time and place. I also travelled to Lauderdale County twice to visit locations, cemeteries, and homes and to Murfreesboro to visit the battlefield. The only discomfort I feel is when I get too close to living generations. I would never want anyone to be upset because I made his great great grandfather out to be a wife-beater or a drunk. Writing recent historical fiction means walking a fine line between juicy fictional characters and people’s actual families. Does your book have a message or a theme that is particularly important to you? The one thing about “Okatibbee Creek” that readers will not know is that with my love for genealogy, I always wished I had memoirs from my ancestors, and I always thought I should write my memoirs for my descendants. This book is both; the family history I always wanted to read and the memoir I always wanted to write. Though it’s not my personal story, it is still an important story to pass down to future generation. What I loved most about writing this book was bringing documents and records to life. A piece of paper cannot make you cry, but when you add a human emotional backstory to it, the sky is the limit. This book is part of a trilogy/ series. Tell us about the other books. “Okatibbee Creek” is the story of Mary Ann Rodgers. During the American Civil War, she took care of many children, including her orphaned niece. The second book in the series, “An Orphan’s Heart,” is about that niece, Ellen Rodgers. She lived a very short life and spent it in search of love. The third book in the series will take us back in time to Mary Ann’s mother-in-law, Elizabeth Hays Rodgers. “Elly Hays” is the story of a woman fighting against the hostile Creek Indians to protect her family. All three books are based on strong women, who against all odds, fight for what they believe in and stand up for love and family. I love Philippa Gregory. I enjoy her first-person present-tense writing, which influenced the way I wrote this trilogy. Whew. Tough question. Mary Ann would have to played by Sally Field. No other actress could pull off that kind of emotional drama. Rice, who is blonde in the book, would be Christian Bale. William Jolly would be Harrison Ford. “An Orphan’s Heart” will be available in May 2013 on Amazon and Barnes & Noble. “Elly Hays” will be released Winter 2013. I also have an exciting Mississippi legend/ghost story coming out Fall 2013 called “The Legend of Stuckey’s Bridge.” There is a psychological thriller roaming around in my head and a ghost story/love story finished on my computer. I expect to release those in 2014. Thank you for posting about this author and her work. I’m definitely going to read her first book in the series. Right now I’m in the process of transcribing my great grandfather’s journal from the Civil War. Someone typed it up more than 30 years ago, but it’s not available in electronic form. I plan to release as an eBook as soon as I can. I thought about doing something like Lori has, but the journal is such a complete story in itself, I decided to just publish as it is. I’m looking forward to reading Lori’s fictional/historical work. Rarely do I read a book where I feel as though I take the hand of the lead character and walk through the book with them. Reading “OKATIBBEE CREEK” was such a breath of fresh air. I fell in love each of the characters and once I started reading there was no turning back. I walked through the sands of time with each of these characters and felt their love, joy, pain, and triumphs in their journey through the best and worst of times. Lori has a talent for pulling you into the heart of books and I can’t wait for ‘ORPHANS HEART” I’m sure I will love it well. This looks excellent. Good review, too. I’m amazed at people who can write books historically correct – that’s real craft.